Echo: Secrets of the Lost Cavern brings puzzle adventures into prehistoric times and comes from Kheops Studios that developed the popular Return to Mysterious Island series of games. The game takes place during the prehistoric era (around 15000 BC) and has players assuming the role of Arok who is a teenage Homo sapien. 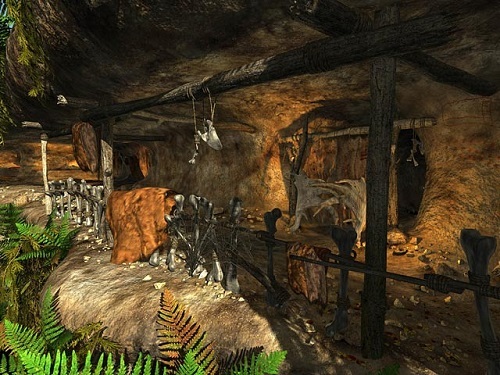 This game setting has everything you would expect with fires, caves and hunting making regular appearances in puzzles and gameplay. The story starts after players discover a mysterious cave during a hunt. Upon further investigation players realise it’s the cave of Klem who passed through these lands several years before who Arok spent many days learning from. Klem is portrayed as a painter with sorcerer like powers that allows him to talk to spirits. After reminiscing about the time he spent with Klem players decide to go in search of him rather than returning to their tribe. Gameplay in Echo: Secrets of the Lost Cavern has plenty of exploration elements and also combines item collecting which provides the tools players need to tackle and survive their adventure. Players will spend much of their time combining items to create devices that help them overcome the puzzles and challenges that the game throws at them. 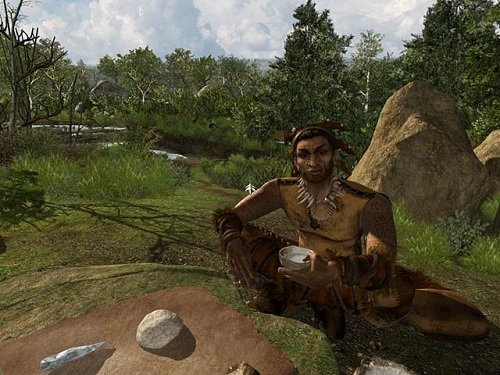 No prehistoric game would be complete without constant threats to your survival though so you’ll also have to defend yourself against various predators while hunting for food to survive. To help you in the harsh environment players have access to a handy in game Encyclopaedia with accurate data on the era that the game is set. If you ever thought you’d have the wits to survive in prehistoric times then Echo: Secrets of the Lost Cavern will give you a good test with difficult inventory based puzzles. Set in the prehistoric era. An adventure to find your mentor Klem. Lots of puzzles that focus on combining items. Impressive variety of landscapes helps to provide a realistic setting. Includes an in game Encyclopaedia with accurate facts.